Landour is one of the few former British hill stations which, thanks to a preservation order, still remains as it was in the 1900’s. Nearby Mussoorie, the one-time summer favourite for a lot of Indian royalties, has become busy and overbuilt, pass straight through to discover Landour’s charm and tranquillity. It is made up of a handful of original cottages surrounding Gol Chakkar, a figure of eight which makes for a lovely walk, taking you to all main points of this former cantonment. The Char Dukkan is a set of 4 small shops and cafes which have been around since the British time next door to St. Paul’s Church built in 1834 and where Kipling’s parents married. 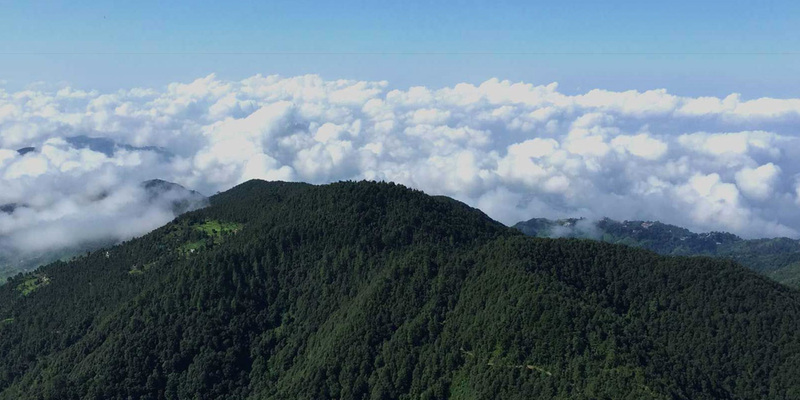 Spectacular sunrises and sunsets occur at Lal Tibba and Sisters’ Bazaar which was once a small market place but now houses the famous Landour Bakehouse and the epic peanut butter store – Prakash Stores. The peanut butter here has been made since the British times and continues to be popular today! 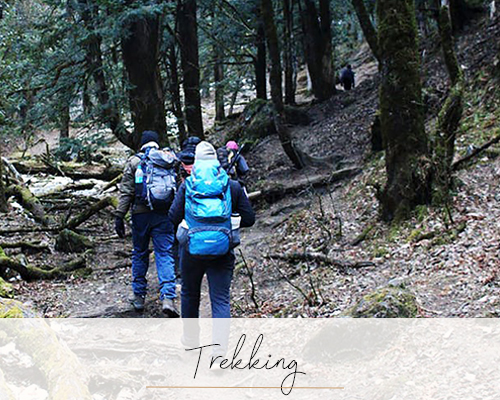 One of our favourite experiences is a trek in the stunning, private Jabarkhet Nature Reserve, a wonderful success story and a must for anyone who enjoys, nature, trekking, wildlife and the great outdoors.